Do you know how often you should update WordPress, the themes and the plugins? Don’t doubt the answer: ALWAYS (or as soon as you can). The more time you let go without having everything updated, not only maybe you will miss interesting new features, but also run the risk of seeing how things stop working properly, finding incompatibilities between plugins or your theme, or having a security breach in your web. That said, the update process is not trivial. First, you have to know in what order to upgrade. For example, it would not make sense to update a plugin that serves to adapt to a new version of WordPress without having previously installed that version. But what if you update WordPress first and then you find that the plugins you have installed on your website are not prepared for this change? Precisely this has been one of the most important problems we have suffered with the new version 5.0 of WordPress. Further, note that not all updates are always secure. More than once an update of a plugin makes it suddenly incompatible with another plugin, breaking something that was previously working well. Seeing clearly the need to keep our website updated, let’s see how to make sure that we do it safely. That said, let’s go to the subject of automatic updates: as you should know, after WordPress version 3.7 (October 2013), by default, WordPress automatically performs minor Core updates. This ensures that certain vulnerabilities are fixed. So if you already installed WordPress version 5.0, you have already moved to 5.0.1 that solved security problems, to 5.0.2 that solved 73 errors and to 5.0.3 that fixed 37 errors and included 7 improvements in the editor of blocks. But when version 5.1 appears, don’t expect it to update automatically – it’s a “major” update and, as such, you have to update it. 2.0 – an update from version 1.0 to 2.0 is indicating that the software is a totally different version to the previous one. 2.1 – an update from 2.0 to 2.1 is a major update in which there may be new features that did not previously exist. 2.1.1 – it is a minor patch in which an error is being corrected or a security breach detected is solved. It should not imply any problem if the update is automatic. Plugins and themes are not updated automatically by default but you have several alternatives to automate them. If you decide to automate some updates, minimize the risks making a backup of your WordPress before following the steps that we explain. In this way, your WordPress will always be updated automatically. Remember that although you should always have your WordPress updated, the automatic update of this is not without risks, as it can cause incompatibilities with your plugins. This way, if something fails, at least it won’t have a negative impact on what your visitors see. The competent hosting companies backup your website before doing the automatic update in case the update is not done correctly. Their tools automatically check if your website is working correctly and if they detect any errors, they will revert the changes and notify you. In the same way that there are hosting companies that have their own tools for automatic updates, Easy Updates Manager is a free plugin that you can use in a WordPress to manage the updates. You can also tell it to notify you by e-mail each time there is a new update. 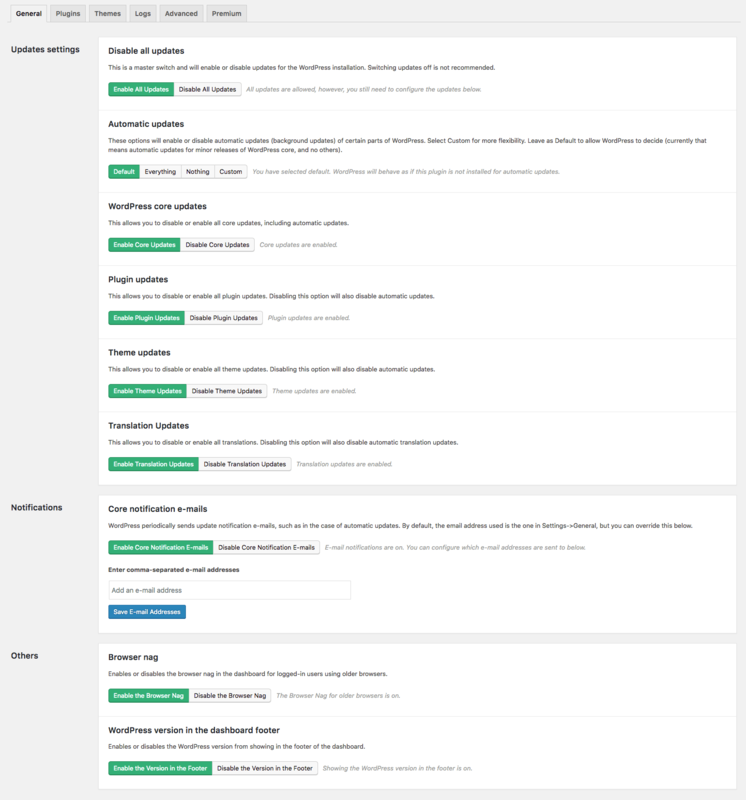 Another alternative to manage plugins and themes effectively is to use the administration panel ManageWP. With this tool you can manage all the WordPress sites you want under the same administration interface, similar to a native WordPress. To do this, register to ManageWP and then add and activate the ManageWP Worker plugin in all the websites you want to manage. You can manage the backup copies and customize the core, plugins, and themes updates as you want for each site. Consult performance and positioning reports. In addition, from ManageWP, you can access the Dashboard of each WordPress with a single click, saving you having to access the URL of each of them. And with the premium plans you can also make backup copies on a regular basis as often as you indicate or automate the security check and optimization among other features. Finally, if you want to stay calm and make sure that an update doesn’t break anything in your WordPress, you always have the option of doing it manually with your supervision. As you know, in the WordPress Dashboard , you are informed at all times of the updates that you have pending to install on your site. You’ll see the number of pending updates in your Dashboard. For instance, in this screenshot there are three. Remember that we have already said that it is not advisable to go just update everything. 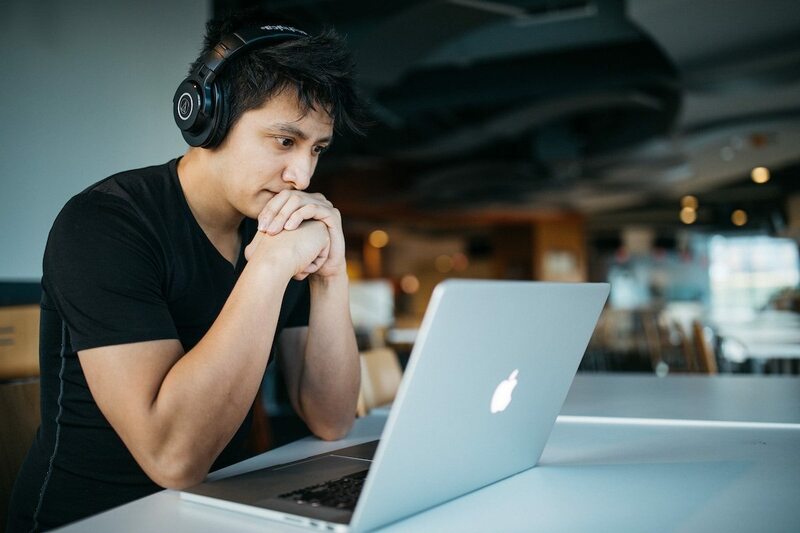 The safest way to make any change to your website is to have a hosting service that offers you a staging environment and a production one; so you can make changes in staging quietly while the production environment is responsible for serving your users. When everything works correctly in staging, you can copy it to production. But if you do not have this service, then the first step is to create a new backup . In the case that you are going to update the Core, WordPress recommends that you first deactivate all the plugins that you have installed. You can do this easily by selecting them in the list of plugins, marking them all and applying the option of Deactivate . Download the file of the latest version of the Core and extract the package locally on your computer. Then access your files via FTP. Delete wp-admin and wp-includesdirectories. Via FTP, upload the new directories that you have extracted and have in the local wp-admin and wp-includes. In the case of the files in the wp-contentdirectory, do not delete or overwrite this folder. Next, copy the rest of the files overwriting the ones you had. And finally, check wp-config-sample.php in case you have to make any changes to your wp-config. Once the files are updated, go to the WordPress Dashboard. If there is a need to update the database, WordPress detects it and will show you the link that takes you to/wp-admin/upgrade.php. Follow the link and complete the steps indicated to update the database. You only have to go back to the list of plugins and reactivate them all. You can do it all at once or, alternatively, one by one while checking that everything is still working as expected. Don’t forget to clear the cache to finish the process of updating the WordPress Core and make sure that all your visitors are accessing the latest version of your WordPress. If there is a problem in the WordPress Core update, in the WordPress Codex they explain in more detail the whole process in more complex cases and the most common problems you can find and how to solve them. Updating plugins, in principle, is much simpler. Just remember to make a backup first! As you know the update of plugins and themes that are in the WordPress Directory you can do it directly from the Dashboard of your WordPress. But before updating any plugin, I recommend you read its Changelog where you can see if it is a major update or a patch with small changes. Remember that the version number is a good indicator of the type of change that this update supposes. If it is a major change, look carefully for any new errors or incompatibilities this new version might have introduced. In most cases the only way you’ll discover whether things work as expected or not is by giving the new version a try. So the best recommendation for major changes is to first test it in a staging installation and after seeing that everything works, make the change in production. Understand what kind of change it is. Keep in mind any changes you applied to the theme will be lost after updating it, unless you applied them in a child theme. If the new theme has new identifiers and classes in the HTML, your stylesheet may stop working. Imagen destacada de Wes Hicks en Unsplash.